AUTO ORDNANCE 1927A-1 Deluxe 45ACP Semi Auto Rifle. 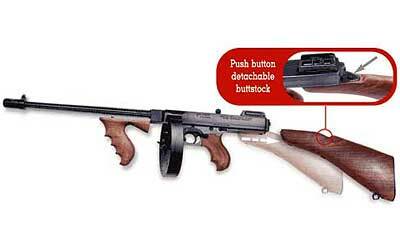 These are the nicest Thompsons made, with detachable wood stock, pistol grip, foregrip, and 50rd drum. A true throw back from the roaring 20's!